Desktop Learning Adventures: Let the (Math) Games Begin! Let the (Math) Games Begin! It’s no secret that I love teaching math. It’s also no secret that I believe kids learn best when they’re having fun. That is exactly why I love math games. 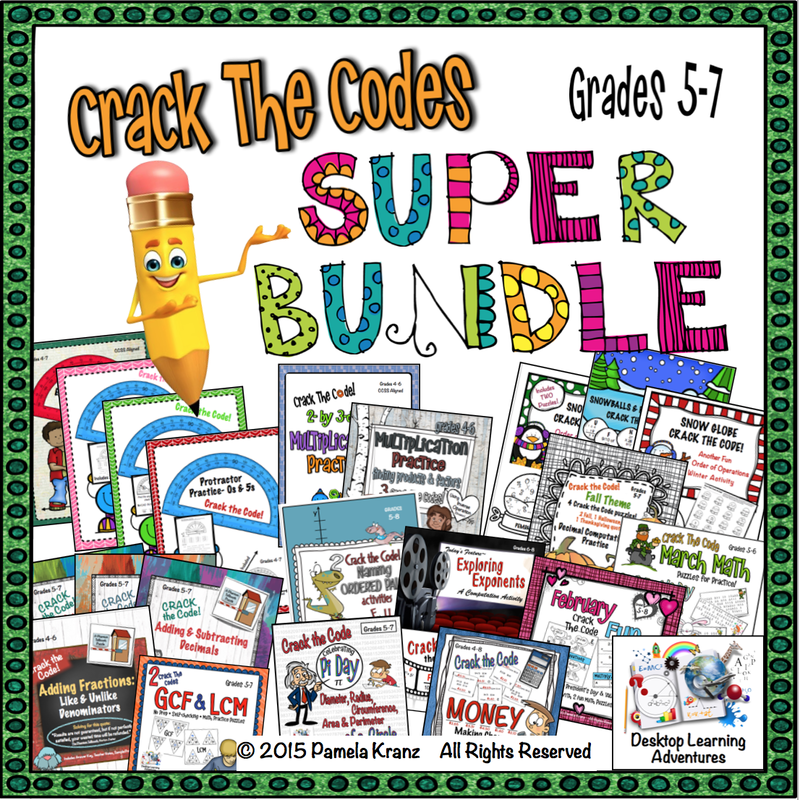 If you nodded your head even once, I’ve got the solution for you– Math Games, a classroom teacher’s best friend! They’re wonderful tools to give kids the opportunity to apply what they’ve learned, while having fun practicing a skill. And yes, I’ve had those times when (what I thought was) a GREAT! idea was met with a collective blank stare- lesson shelved, pull out the game. Subs like them because the kids are engaged and already know how to play. I would often pull out a math game when we had the dreaded inside day, making it a win-win situation. They were occupied in a meaningful way while having fun, and, oh yeah, they were learning! 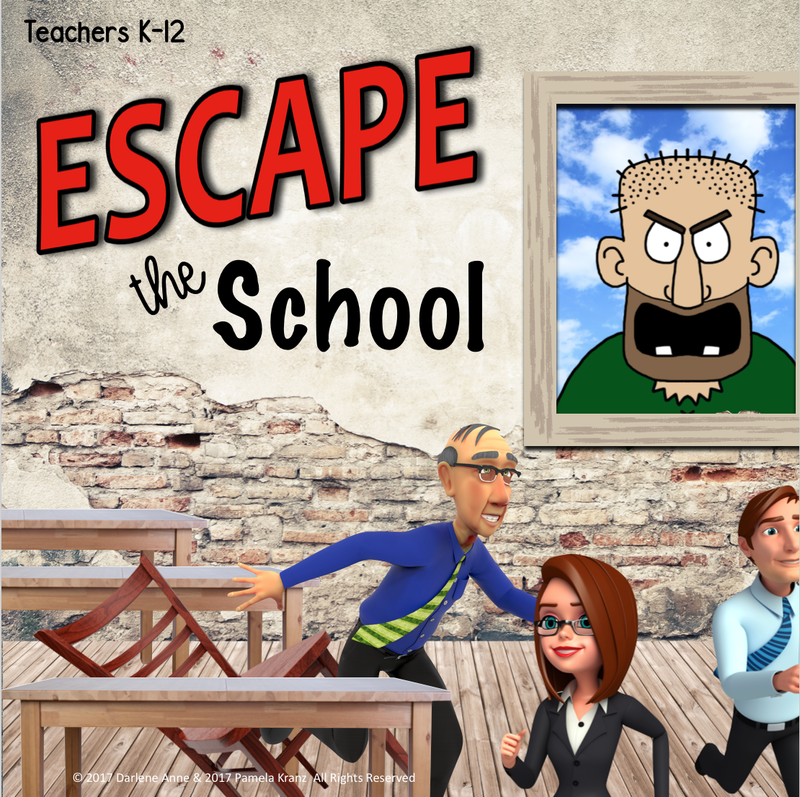 I made it a point, at the beginning of each new school year, to teach kids how to play different math games, so I could have them as a go-to resource whenever I needed them. 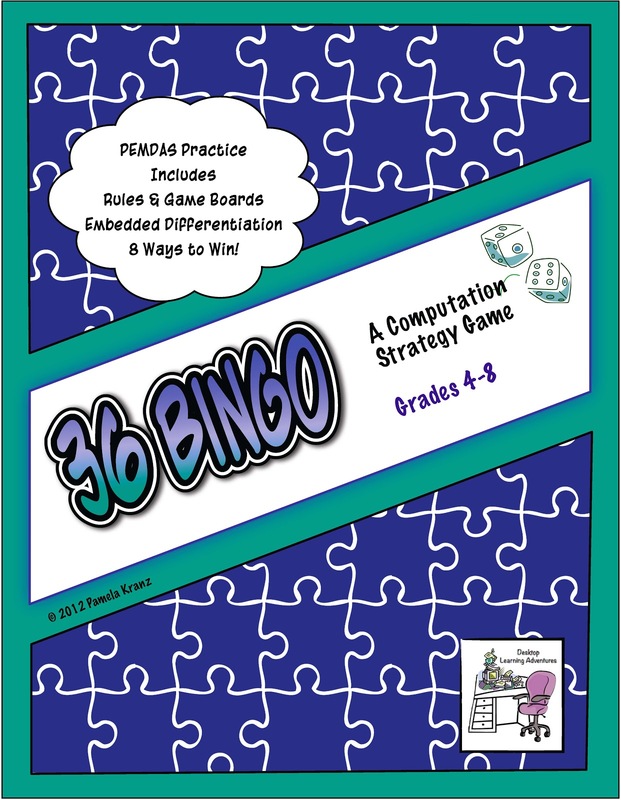 My favorite starter game was 36 BINGO- a Computation Game. 36 BINGO (a freebie!) was great because it could easily last an entire math period, I could leave it for subs, and kids could play it for homework with parents, friends, siblings, or even alone. 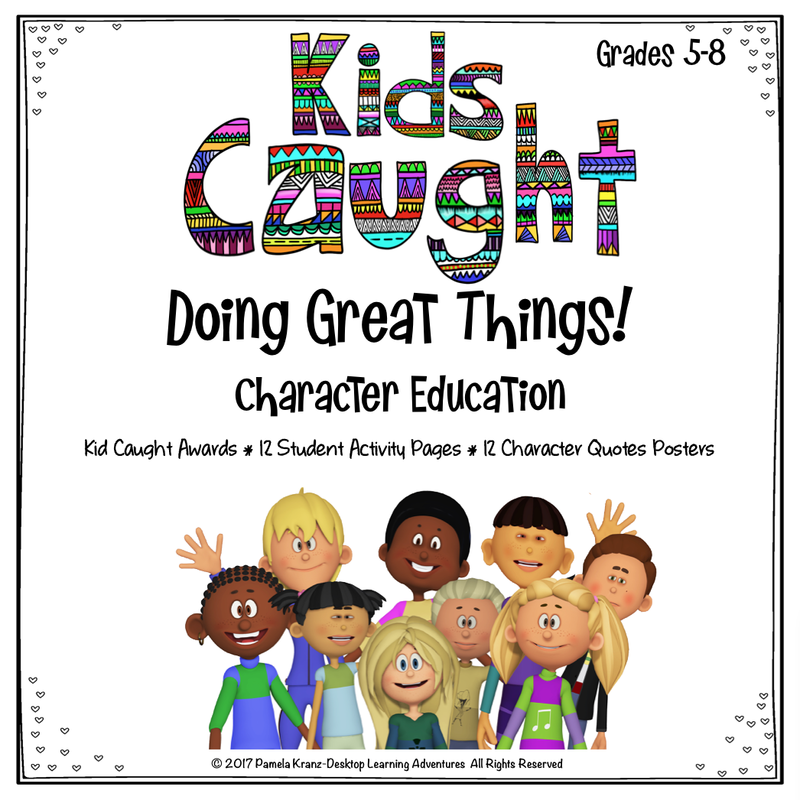 It worked well as a go-to activity in my classroom. It required little set up (I would have game boards on hand, but students could also draw their own) and every game was different. After I retired, I started volunteering in my friend's primary classroom for math. 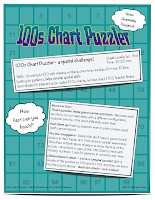 I wanted to give them critical thinking practice, so 100s Chart Puzzler was born. 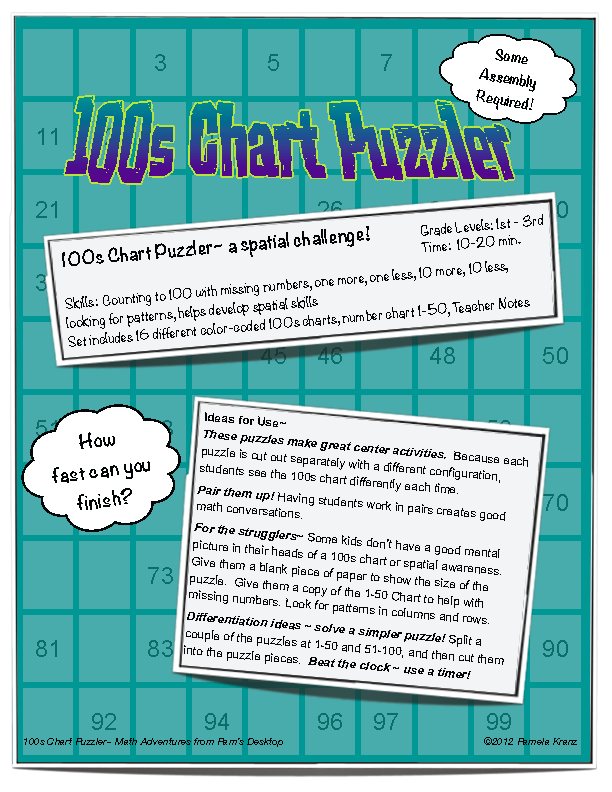 Each of the 16 color-coded puzzles has missing numbers and are unique because of the way they're cut, giving students a different look at the 100s Chart each time they play a different set. The challenge comes from figuring out +/– 10 or + /– 1 as they fit the pieces back together. There's great math conversation, if done in partners, and works well as a center activity. The kids soon discovered it wasn't as easy as it looked! Building an arsenal of math games in my classroom was a no-brainer, as I believe we learn best if there's an element of play involved. 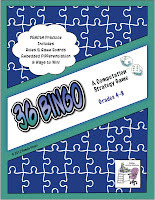 That said, here's a great way to add to your own personal collection of math games. 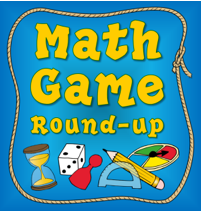 Corkboard Connections is hosting Math Games Round-up, different math games suitable for 2nd-6th grade and definitely worth checking out, because we all know games are part of a great learning adventure! I currently teach 5/6 grade history, but may teach 6th grade everything next year-YIKES! 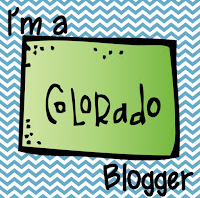 I've never taught math so I'll be visiting your blog quite often!! I absolutely LOVE(d) teaching 6th grade. I had them for everything, but we switched for science (me) and social studies. I liked the time flexibility and loved 6th graders! Happy to help. You'll be fine. BTW, if you have an opportunity to take a Marilyn Burns math course, do it! Common Core will make complete sense to you. Good luck (and thanks for following)!